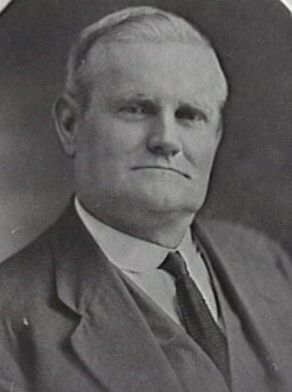 Ernest Boling Glasgow was born in Sydney in 1879, son of John Bowling Glasgow and his wife Elizabeth Jane, née Macgregor. Prior to 1900, he married Olive Susan (died 1936, aged 63), daughter of Peter and Susan, and had five daughters. He died on 15 November 1952 and was buried with his wife in the Anglican section of Rookwood Cemetery. In March 1911, Ernest Glasgow was recruited as a carter in the City Surveyor’s Department, later becoming a lamplighter. This may have been Ernest Boling Glasgow. In 1930 there was an Ern Glasgow at 131 Reservoir Street. Glasgow was Alderman for Belmore Ward, 1 December 1924 to 31 December 1927. He was a member of the Works Committee, 1925-27, the Electricity Supply Committee in 1925, the Finance Committee in 1926; and the Health and By-Laws Committee in 1927.